AMMONNEWS - On the 25th anniversary of Kurt Cobain’s death, dozens of people left flowers, candles and handwritten messages at a Seattle park near the house where the Nirvana frontman killed himself. 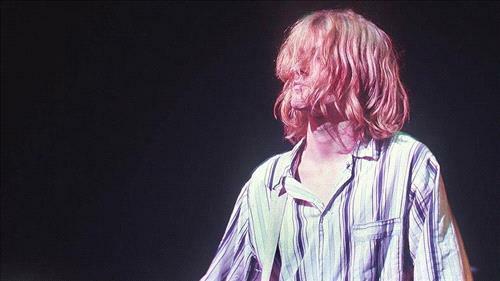 Cobain, whose band rose to global fame in the city’s grunge rock music scene of the early 1990s, was 27 when he died April 5, 1994, in his home in a wealthy neighborhood near Lake Washington. Nirvana’s breakthrough album, “Nevermind,” was released in 1991. Featuring the hit “Smells Like Teen Spirit,” the album went to No. 1 on the Billboard charts and has sold tens of millions of copies worldwide. Nirvana was the most prominent of the era’s series of Seattle grunge bands, including Pearl Jam, Soundgarden and Alice in Chains, that would go on to release best-selling records. Cobain’s angst-filled lyrics and his band’s powerful, dark rock struck a chord with young people. Days after his death, thousands of people gathered near the Space Needle for a public memorial. An investigation determined he took a massive dose of heroin and then shot himself.